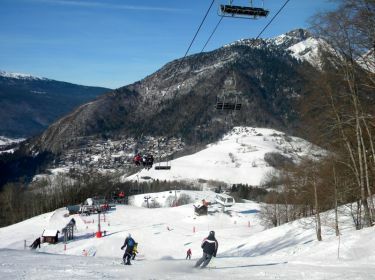 The village resort of Les Aillons-Margériaz is located in the municipality of Aillon-le-Jeune at an altitude of 1000m in the heart of Le Massif des Bauges Regional Natural Park. Thanks to it geographical position, it is one of the closest ski resorts to a number of cities, located only 30 minutes from Chambéry and 45 minutes from Aix les Bains and Annecy. The village of Les Aillons-Margériaz is typical of the Savoie region and particularly the "Bauju" (Bauges region) and has everything from beautiful landscapes, welcoming inhabitants, activities for all ages and adventure on the slopes through areas of protected countryside.